Ok I don't really know if his name is Charlie, but chop-chop is exactly what he does with old cars and trucks that have reached the end of their useful lives. 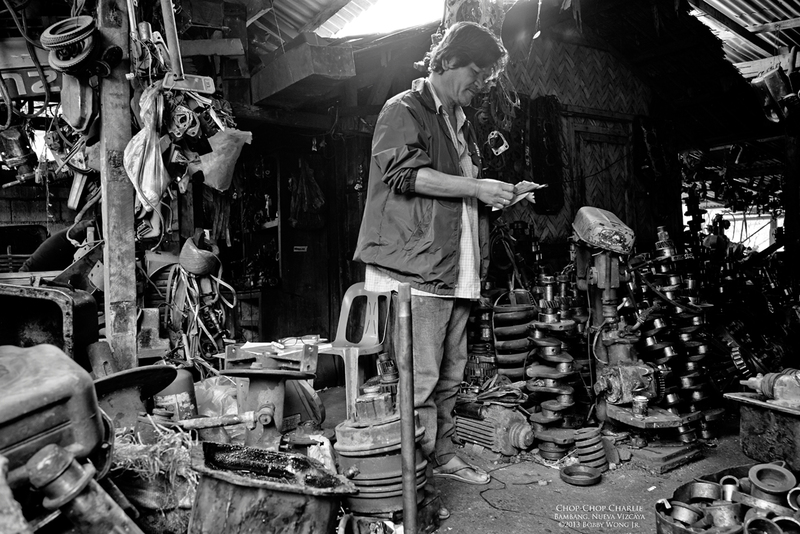 His shop looks like an automobile graveyard, with similar parts stacked neatly together. One day, someone will come looking for an unloved part, in the hope of extending the life of their beloved truck. One man's trash is certainly another's treasure. Just ask Charlie. Or whatever his name was. Enjoy. A school boat? As in the equivalent of a school bus? 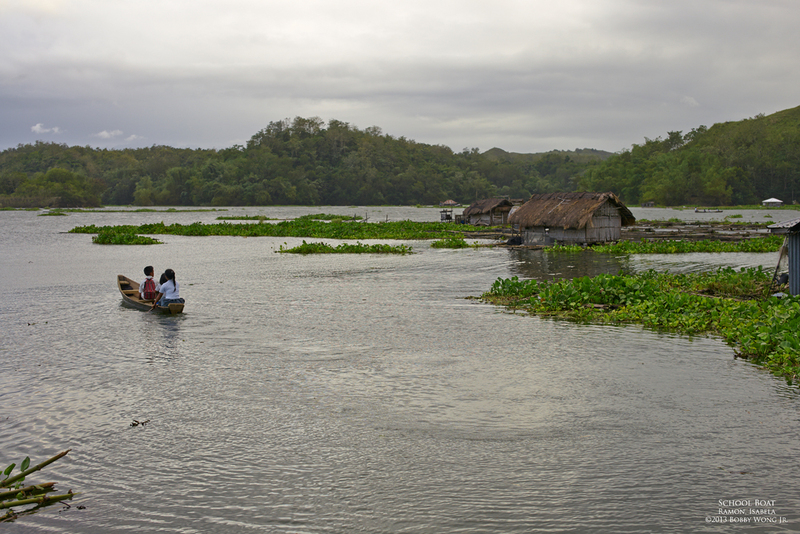 We were in Ramon, Isabela, on the edge of the Magat reservoir, when we spotted these school children gathering along the shore, waiting to get on a paddle boat. They live on Isla Verde, that green island on the horizon. Every morning, they'd paddle over to get to school. In the afternoons, they'd reverse course and head home. On extremely windy days like today, it could take 45 minutes to cross that narrow stretch. It's not without dangers, and boats have been known to capsize, but it's just another day for school children here. Enjoy. 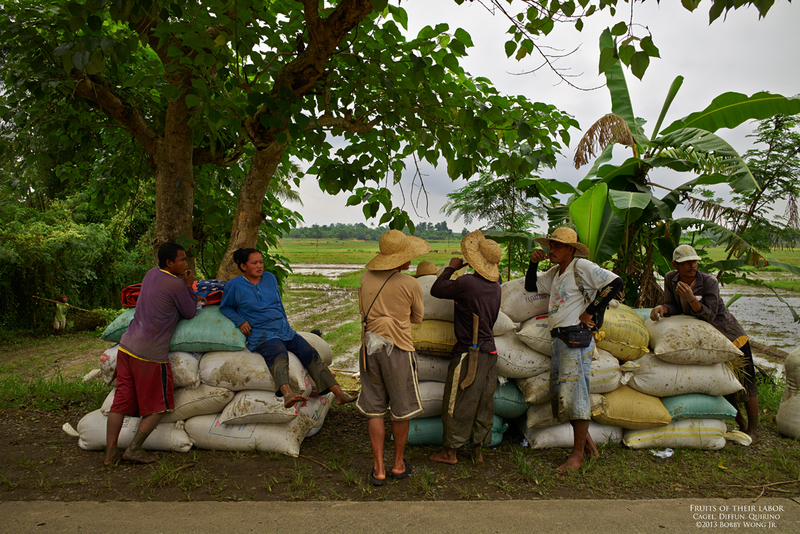 In barrangay Kita-kita, in San Jose City Nueva Ecija, the sight of gaudily-clad farmers in the distance piqued our curiosity. After doubling-back and walking into the fields, we discovered they're onion farmers hired to weed fields planted to white onion. Gently plucking weeds growing in-between onion sprouts is hard work, for which each one will earn P130.00 a day. But discovering them at work was worth much more than that to us. Enjoy. 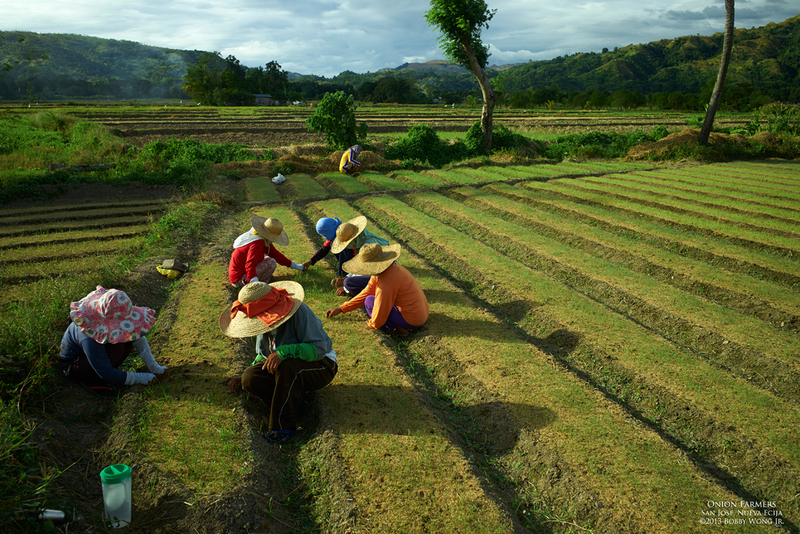 In barrangay Cagel, in the town of Diffun in Quirino, it takes four months for rice to be sown, nurtured, and harvested. After which they haul them by carabao cart to the nearest roadside, where they await a trader to price and buy them. It's been a long four months so you'll forgive these farmers if, in their excitement and anticipation, they are lost in discussion while nosey photographers like us kept clicking away. Enjoy.